Cigar Cutters are the ultimate man's tool when it comes to cigar smoking, allowing for a quick, accurate cut for the perfect draw. Shop many diverse types of Cigar Cutters from , V cutters, guillotine cutters, punch cutters cigar scissors & more. Cool, classy, low cost and high quaility Cigar Cutters. Our stylish collection features modern, industrial and classic guillotine cutters that expertly remove the caps so you can fully enjoy the flavor. If preferred, you can also plug the perfect hole into the head of with an affordable cigar punch. Most quality handmade Cigar Cutters, regardless of shape, will have a cap which is one or more small pieces of a wrapper pasted onto one end of the cigar with either a natural tobacco paste or with a mixture of flour and water. The cap end of a cigar is the rounded end without the Good Times Cigarillos exposed, and this is the end one should always cut. Get cheap cigar cutters ,luxury cigar cutters and Cigar Cutters and Captain Black Tobacco wholesale at online. Helps you spend less money on more high quality cigar cutter. Hope you have a happy shopping experience. Among that, you need a cigar cutter to ensure your cigars are ready to go for your ultimate toast. These make excellent gifts for cigar aficionados. 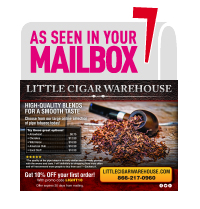 Look at the vast inventory to find the cutter that works best for your needs, whether you are a regular smoker or prefer to use cigars to celebrate special occasions. After all, the best cigar cutter can become a right-hand partner or serve as part of the celebratory ritual that serves as an unforgettable moment in your life.